The title of this blog is an aphorism coined by Dr. Neil de Grasse Tyson, the American astrophysicist and populariser of science. Tyson has taken on the mantle previously worn with distinction by such science communicators as Carl Sagan, one of the founders of Csicop, and legendary science writer and fraud buster Martin Gardner. Like his predecessors, Tyson is an able defender of science against the lunatic fringe of superstitious beliefs, phony medicines and pseudoscientific quackery. Yet despite his impressive credentials and track record, his epithet has the remarkable distinction of being both true and false. Let me explain why. When Tyson says that science is not a liberal conspiracy, his first meaning is that many scientific observations remain true whether we agree with them or not and whatever our political or other opinions. Whether you are a conservative or a liberal, whether you are an atheist or a Seventh Day Adventist, whether you like it or not, light still takes eight minutes to reach the earth from the sun, still has constant velocity in a vacuum and E still equals MC2. Tyson’s aphorism has appeared frequently now in the wake of the US presidential elections and the UK Brexit referendum, when there have been allegations from all sides of fake news, false facts, and conspiracy theories that attempt to cast doubt on some widely accepted beliefs. At times of uncertainty like this it may seem that many things we believe to be absolutely true are only relative. Tyson is reminding us that science can and does provide some measure of certainty, no matter which way the winds of public opinion blow. There are at least two senses in which Tyson is unquestionably right. The first is that no-one but a fool would disagree with observations and measurements that are the result of years – sometimes generations – of painstaking laboratory research. Smallpox is caused by the smallpox virus. The disease mircroorganism has been isolated, studied and eradicated by vaccination programmes. You can like or dislike the laws of physics, the periodic table, or what astronomy has revealed about our place in the universe, but you cannot doubt that they represent the most secure form of knowledge we possess. The second sense in which Tyson is right is the overarching idea that this most secure knowledge is provided by the scientific method as practiced since the enlightenment by western scientific rationalism. This overarching philosophy – which embraces mathematics, logic, observation and measurement, and fundamental principles like causality and the conservation of energy – is the acid test of secure knowledge. 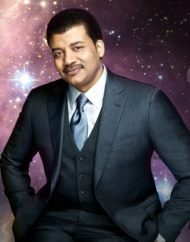 Above all, Tyson’s defence of science is backed up by the undeniable fact that science has been phenomenally successful – one of the most successful of all human endeavours – and nowhere more so than in medicine where science has conquered and continues to conquer many forms of disease. But these powerful touchstone beliefs have led many to overlook, or downplay, or ignore completely that there are also equally some senses in which Tyson and those who think like him are wrong – and it is these alternative senses that I wish to write about here. Tyson’s aphorism is false for two main reasons: first because of the ambiguity in his use of the word “science” in this context and second because he has chosen to conflate two irreconcilable activities in the same sentence: scientific findings and their application to public policy. “Science” in the first sense used above – of measurement and observation – clearly cannot be a conspiracy. But “science” in the second sense, of an overarching philosophy that pursues an incorruptible method, not only can form a conspiracy, it notoriously has done so in the recent past. Below I cite half a dozen examples of just this problem. The second reason Tyson’s aphorism is wrong is because of the process by which science becomes incorporated into society. There are three levels in this process: the level of direct application in technology, the level at which findings become the subject of advocacy campaigns; and finally the level at which those findings are accepted as public policy and guide the actions of law makers. At the most direct level, scientific findings are employed in everyday life – the equations of quantum mechanics are used to design nuclear power stations; a space probe is landed with pinpoint accuracy on a comet. Trouble arises when the findings are elevated to the advocacy level and from there to public policy. Is sugar or fat in diets most to blame for obesity? Is climate change man-made? Is vaccination safe? Do microwave phones cause cancer? Does fracking cause earthquakes? This meme which purports to represent the scientific view – and has been repeated by Tyson himself – is one of the lynchpins of the climate change policy campaign. Yet, far from being a scientific finding, it is no more than an advocacy statement of belief that has its roots not in proper scientific observation but in the overarching belief that because science is powerful, it must be right. The “97%” figure originates from an article by John Cook . You can read a scientific critique of that paper here. The bottom line is that, when interpreted scientifically, Cook’s data actually shows that only 1.6% of the scientists he studied can be said to believe that humans are causing global warming – a very large difference from 97%. Examples like this may be dismissed as isolated cases but there has been evidence emerging for some years of a similar malaise infecting the whole of present-day scientific research. According to a report in the journal Nature, published retractions in scientific journals have increased around 1,200 per cent over the past decade, even though the number of published papers had gone up by only 44 per cent. Around half of these retractions are suspected cases of misconduct – that is, scientific fraud. In some cases, the motive for such fraud is money, thanks to the lobbying of big business. A researcher at the University of San Francisco, recently discovered that scientists at the Sugar Research Foundation (SRF), known today as the Sugar Association, paid scientists to do a 1967 literature review that overlooked the role of sugar in heart disease and blamed fat instead. SRF set an objective for the review, funded it and reviewed drafts before it was published in the New England Journal of Medicine, which did not require conflict of interest disclosure until 1984. The three Harvard scientists who wrote the review made what would be $50,000 in today’s dollars from the review. This incorrect indictment of fat influenced medical advice for decades, and is still influential in some areas today. This example may be from decades past but the relationship between food companies and researcher is alive and well according to recent investigations by the Associated Press and New York Times. The AP revealed in June that candy trade groups were funding research into sweets. And in 2015, the New York Times showed how Coca-Cola has funded millions in research to downplay the link between sugary beverages and obesity. But it is not merely crass commercial interests that are corrupting science from outside, there are even more powerful influences acting from within the profession. Modern science – both in terms of discoveries and in terms of career success – is based on research. In turn, research is based on funding grants. To get grant funding, scientists have to get their results published in big science journals like “Nature” – and to get published in such journals, their papers must pass the peer-review committees. The members of these committees are the gatekeepers of modern science, and the gates are kept by scientists who think like Dr Tyson – who is a referrer and reviewer for Nature, Astronomical Journal and Astrophysical Journal as well as a gatekeeper for science books by every major US academic publisher. Clearly, since Dr. Tyson has accepted that “97% of scientists” believe in a human origin for climate change (despite this claim being nothing more than an urban scientific myth) then it follows that any scientist who dares to question this orthodox view with a paper destined for Nature is unlikely to get pubished, because Dr Tyson and others who think like him will reject any such paper. In this way, any research that is outside the mainstream of acceptability to orthodox believers will get neither publication nor funding and is likely to wither on the vine. in one important sense it is true that science is not a liberal conspiracy. But in other, equally important senses, Dr Tyson – and those who think as he does – should reflect that science is not powerful because it is true. Science is true because it is powerful. Dr Tyson says those who disagree with him are “scientifically illiterate” and repeats his claim that “99% [sic] of scientists agree that global warming is caused by humans”. He says, “What happens in science is you get an emergent consensus. A scientific consensus is not the kind of consensus you get at a business meeting. Scientific consensus is different. Everybody’s doing experiments, in the lab, in the field, and they get [one] result or another. “With new subjects on the frontier, no two scientists will agree – you’ll have disputes over interpretations of data, in almost every case because the data are poor or insufficient, to distinguish one idea cleanly from another so that people can choose a side, and they duke it out in the coffee lounges and the journals and the conferences. “As the data become better and better, fewer and fewer people on that frontier dissent because the experiments begin to agree with each other. They start seeing the same thing. They start recognizing that there’s an emerging scientific truth that is under foot. And when a scientific consensus emerges, you’re done with that and you move on to the next subject. “A scientific consensus has emerged on the global warming problem. You measure that by published papers and what they say. If you look at published papers 99% of them talk about the human influence on the global warming of the world since the era of the industrial revolution. This picture of an evolving consensus as further and better experimental evidence becomes available is very convincing – until that is you examine the facts when you find that in the case of climate change it is a complete fantasy. There has been one universally accepted set of measurements of historical atmospheric temperature and historical CO2 and that is the paper published by Petit et al in Nature in 1999 covering the past 420,000 years. No new facts, or measurements, or observations, have emerged from the field or the laboratory during that 20 years, as Dr Tyson claims, that have supported the idea that climate change is man-made, or even that it is caused by CO2. On the contrary, the evidence from Petit et al’s original 1999 paper show with unmistakable clarity that the level of CO2 in the atmosphere, and the temperature of the atmosphere, have been higher than they are at present on four previous occasions – all four long before industrialization and long before humans could possibly have influenced climate. Everything that has happened since the publication of those indisputable scientific facts has been a part, not of an evolving scientific consensus, but part of an evolving advocacy process and an ever-closer group-think conclusion among those – like Tyson – who control access to the peer-reviewed science journals like Nature. Dr Tyson has committed a classic logical error when he confuses a “scientific consensus” with a “consensus of scientists”. A scientific consensus is where many different experimental results, conducted under proper conditions, tend to agree. An example is the consensus over the specific gravity of Gold, or the structure of DNA. This consensus is forever subject to verification by experiment. Major pharmaceutical companies have suppressed scientific findings of harmful effects of certain drugs and failed to report them to government bodies that license drugs. Previous Previous post: Perpetual Emotion? Next Next post: Is Trump another Hitler?